The Leadership Council of the New G7 Alliance on Food Security and Nutrition held its meeting in South Africa. 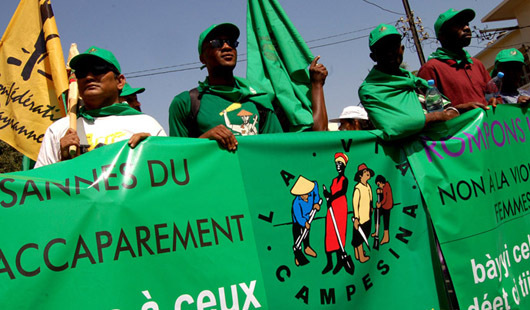 At the same time, civil society organizations expressed their concerns over this initiative, since it threatens food sovereignty in Africa, as well as access to land and seeds for family farms. Far from the farmers and their leaders, the richest countries in the world and the biggest corporations negotiate the amounts and modalities for agricultural investment in the poorest and least developed countries in the world. At the World Social Forum (WSF), civil society organizations drafted a joint statement. Together with not less than 150 organizations, SOS Faim and some of its partners, like the FONGS (Senegal) and the CNOP (Mali), also signed the declaration.